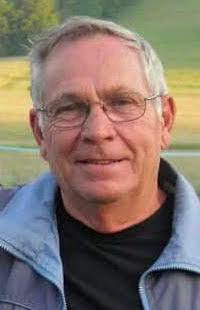 Mayer, Arizona----Kenneth John “Kenny” Dietze, 79, of Mayer, Arizona, formerly of Shinglehouse, Pa., passed away in his home on Thursday, August 2, 2018, after a short illness. Born on July 16, 1939 in Hornell, N.Y., he was a son of the Rev. Kenneth W. and Alma P. Grube Dietze. Kenny was a 1957 graduate of Oswayo Valley High School in Shinglehouse. He was employed as a meat cutter. Kenny enjoyed hunting, ATV riding, sports, Penn State football, and time spent with his family. Surviving are four sons, Michael H. (Evie) Dietze of Summerville, S.C., Roger M. (Vicki) Dietze of Shinglehouse, David A. Dietze of Cartersville, Georgia, and Virgil B. “Virgie” Dietze of Shinglehouse; four grandsons, Joshua (Whitney) Dietze, Brent (Jenna Maxson) Dietze, Nicholas (Shelby) Dietze, and Anthony (Jessica Edwards) Dietze; three great-grandchildren, Ava Mays-Dietze, Brantley Dietze, and Willow Vincent; his sisters and brother, Anne R. (Don) Quick of Keller, Texas, Paul W. (Debbie) Dietze of Shinglehouse, and Marilyn G. (Felix) Casacelli of the state of Indiana; and several nieces and nephews. In addition to his parents, Kenny was predeceased by two sons, Kenneth Gregory “Greg” Dietze and Gary G. Dietze; a sister, Elizabeth P. Morris; and his stepmother, Dacia Dietze. Kenny graciously donated his body to science. In keeping with his wishes, there will be no services. Memorials may be made to the Oswayo Valley Memorial Library, PO Box 188, Shinglehouse, PA 16748. Local arrangements have been entrusted to the care of Kevin J. Dusenbury, funeral director/owner of the Virgil L. Howard Funeral Home, Shinglehouse.